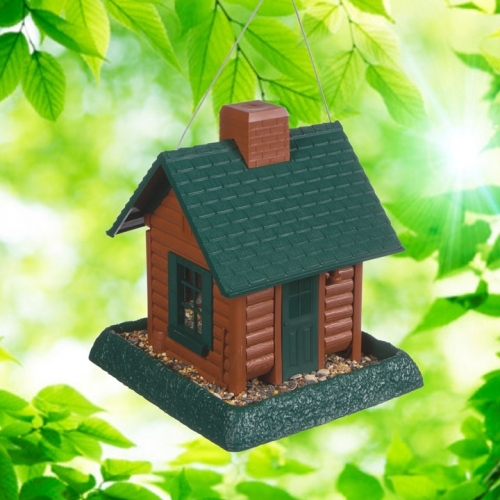 The Log Cabin birdfeeder is part of an extensive Village Collection of feeders. This unique log cabin has the capacity to hold 5 lbs. of seed. For monitoring seed levels, the colonial style windows are located on two sides with clear plastic panes. The green roof contains a lift-off chimney to make filling this feeder a breeze. The large tray/perch is removable for easy clean out. This versatile feeder can either be used as a hanging birdfeeder or pole mounted and offers a three year warranty. 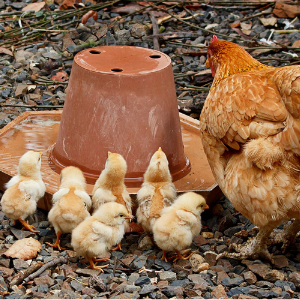 Measuring 10.25 x 9.5 x 11 inches high, it's the perfect size for your feathered friends to gather.